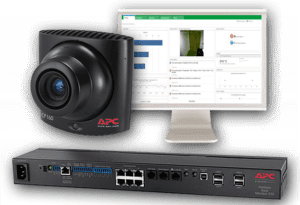 APC NetBotz is an active, scalable monitoring solution designed to protect against physical threats, environmental or human, that can cause disruption to IT assets. 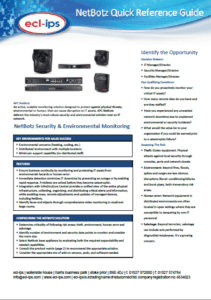 The NetBotz physical monitoring product set provides real-time physical monitoring for critical IT spaces. It would now be seen as commonplace to provide environmental and physical monitoring within data centres but as it stands remote sites now require the same granularity. From design, deployment, to day-to-day operations and monitoring, to planning for capacity and growth, Ecl-ips real-time monitoring solutions give you unsurpassed visibility, validation, and control over the physical layer. APC NetBotz delivers the industry’s most robust security and environmental solution over an IP network. 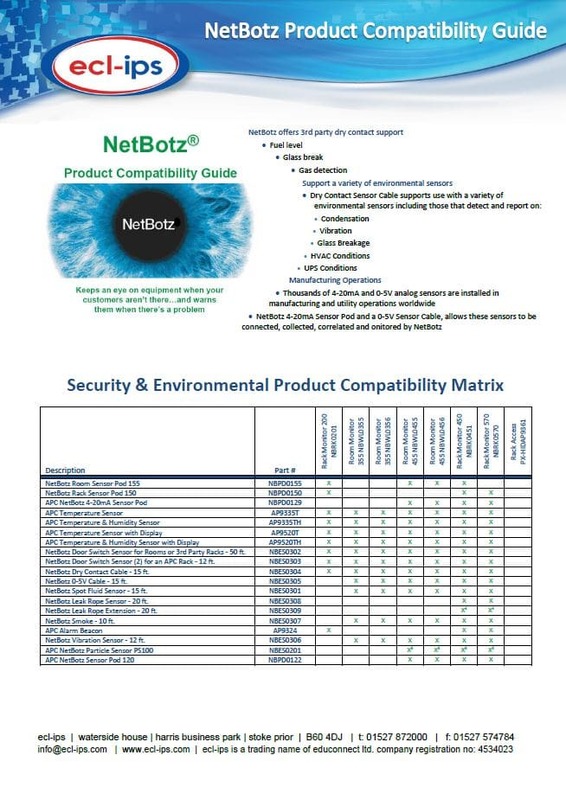 NetBotz Devices are available to purchase through our online shop. If you would like a demonstration of the APC Netbotz monitoring solution please contact us.